Sea Grant 50th Anniversary Fellow Profiles: Where Are They Now? In celebration of Sea Grant’s 50th anniversary, we are sharing profiles of past fellows and highlighting their rich and varied careers. Career path: Previous to Katie’s Hershman fellowship, she was a graduate student at Washington State University. 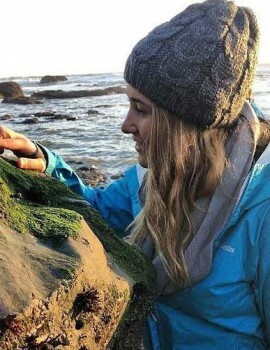 After completing her fellowship with TNC and the Makah Tribe, the Tribe hired her as an ocean policy analyst on contract and, in the following year, they hired her permanently as their natural resource policy analyst. Favorite memory of fellowship: Building relationships with the four Coastal Treaty Tribes and the coastal communities in Pacific and Grays Harbor counties, as well as attending the International Marine Conservation Congress meeting in Glasgow, Scotland! My Hershman Fellowship is the reason I have the job I have today. I was able to work closely with the Makah Tribe on ocean policy issues and was hired immediately after my fellowship ended. Career path: Before to Laua’s Hershman fellowship, she was a graduate student in the UW School of Marine Affairs. After completing her fellowship, she was hired by the DOH, where she works as a public health advisor, focusing on Vibrio parahaemolyticus management. Favorite memory of fellowship: I enjoyed many aspects of my fellowship, from developing policy to collecting oyster samples. Some of my favorite memories were of early summer mornings spent collecting oyster samples. During my fellowship I had the opportunity to get to know the tribal and non-tribal commercial shellfish industry, hear about the history of shellfish harvest and farming in Washington, gain an appreciation of the collaborative nature of how shellfish regulations are developed, and see a number of stunning tide flats at sunrise. 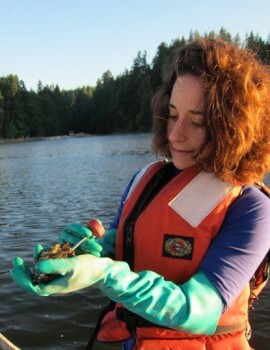 The Marc Hershman Marine Policy Fellowship introduced me to state service at the Department of Health, provided me the opportunity to use my degree in Marine Affairs to develop scientifically sound policy, and introduced me to the shellfish industry. I continue to work at the Department of Health regulating the shellfish industry. 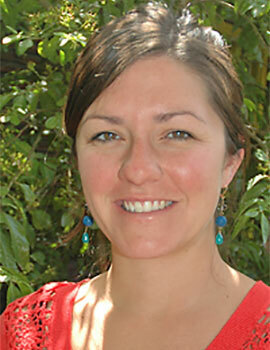 Career path: Jamie began her career as an environmental scientist with Sigma Engineering in California. She moved to Washington State to become a hazard mitigation strategist for the Washington Emergency Management Division at Camp Murray. After her fellowship, she was hired by Washington Sea Grant as a coastal resources specialist, which lead to her current position as hazard mitigation champion with Michael Baker, International. Favorite memory of fellowship: I enjoyed witnessing the excitement of communities in Southwest Washington as they became certified TsunamiReady Communities and discussing the real-life implications of a Cascadia subduction zone earthquake and tsunami. The lessons I learned about risk in the region are unforgettable. Hershman started my career down the hazard mitigation and risk reduction path, which allowed me to combine my education in policy and science and effectively apply it to foster community engagement and outreach. Career path: Mark began as a regulatory analyst for a private firm in Seattle. 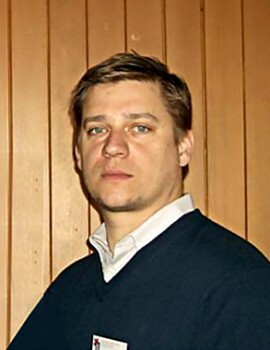 Shortly after his Knauss Fellowship, with the U.S. Senate, he was hired as a government affairs representative for Ocean Peace, Inc., in Seattle. In 2012, he joined the Alaska Bering Sea Crabbers as Executive Director. Favorite memory of fellowship: It’s really hard to narrow it down to one. My fellow year was a time of great historical importance for this country. My wife and I attended the Presidential inauguration. I participated in several confirmation hearings that helped shape Administration ocean policy for years to come. I attended ICCAT in Brazil. Congress had just passed the Economic Stabilization Act of 2008 a few months before I got there. They passed “Cash for Clunkers” while I was there and then passed the Affordable Care Act a few months after I finished. And, of course, I had the opportunity to meet an impressive array of ocean stakeholders from around the country during my fellowship. The Knauss Fellowship helped me expand my network of contacts in government, academia, the environmental community and ocean-related private industry. In my current position it’s fair to say that I call upon the contacts I made and utilize the experience I gained during my Fellow year on pretty much a daily basis. Career path: Erica began her career as an intern with Science Magazine. Following her fellowship, she became a science writer for Maryland Sea Grant for six years and an assistant director of science policy and outreach at COMPASS in Maryland for four years. 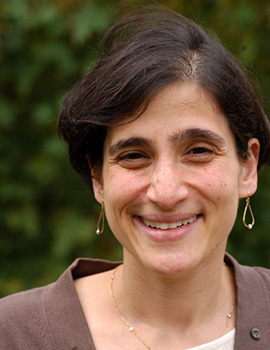 She moved on to Washington, D.C., to become a policy advisor on environmental quality at the White House under the Obama administration before returning to COMPASS to head the policy engagement division as director. Favorite memory of fellowship: I loved working on drafting legislation. I helped draft language for a bill to reauthorize the Marine Mammal Protection Act and one on invasive species. When I first started out, the process seemed impenetrable and opaque. In a short amount of time, I learned a tremendous amount about how to craft legislation and the critical role that stakeholders play. A highlight for me was the chance to see one of the bills that I worked on being introduced. Participating in a Knauss fellowship provided tremendous insight into the culture of policymaking, how decisions are made and the roles that science could play. It has been foundational for my work at COMPASS, where I both teach scientists how to communicate effectively with policymakers and help design and arrange meetings to bring scientists and policymakers together.